Alt-J fans will be happy to learn that the English band will be back in Quebec City this summer! As part of the Festival d'été de Quebec, the group will perform on the Plains of Abraham on Friday, July 5, 2019! That evening, CHVRCHES will be the opening act on the Plains, as well as Sir Sly. Mariah Carey, Lynyrd Skynyrd, Kygo, Diplo or Blink 182 will also be performing at the festival on different dates! Do not miss the FEQ this summer to see alt-J for the first time in the Old Capital! 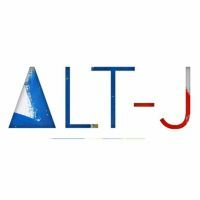 Be the first informed if we receive new tickets for Alt-J. You will than get a priority choice in our tickets inventory. Enroll yourself to our priority waiting list for Alt-J to be alerted when new tickets are available. Filling this form doesn't engage you to any purchase. 2Tickets.ca acts as a third party and is in no way associated with Alt-J.